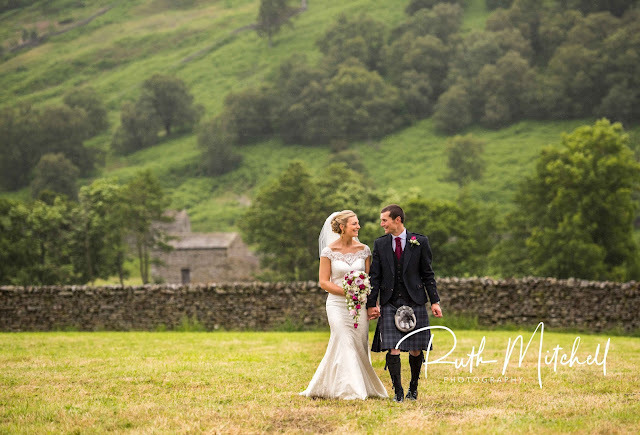 Ruth Mitchell Photography: Yorkshire Photographer Of The Year - North Of England Wedding awards. 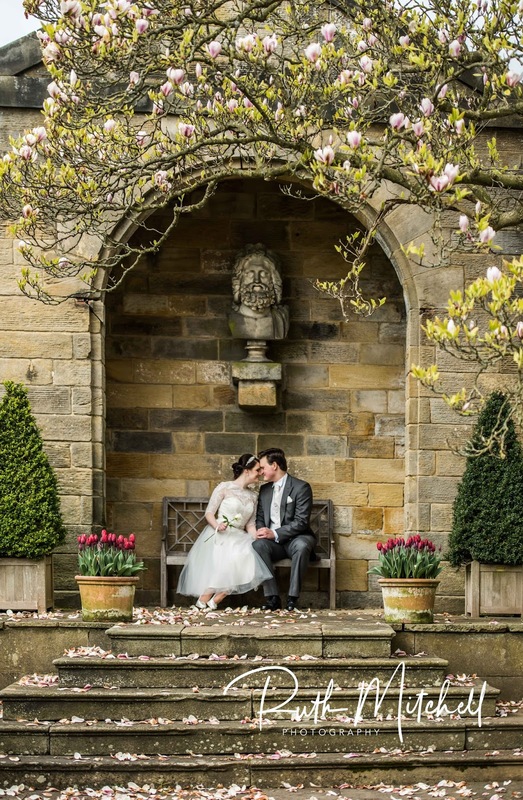 Yorkshire Photographer Of The Year - North Of England Wedding awards. 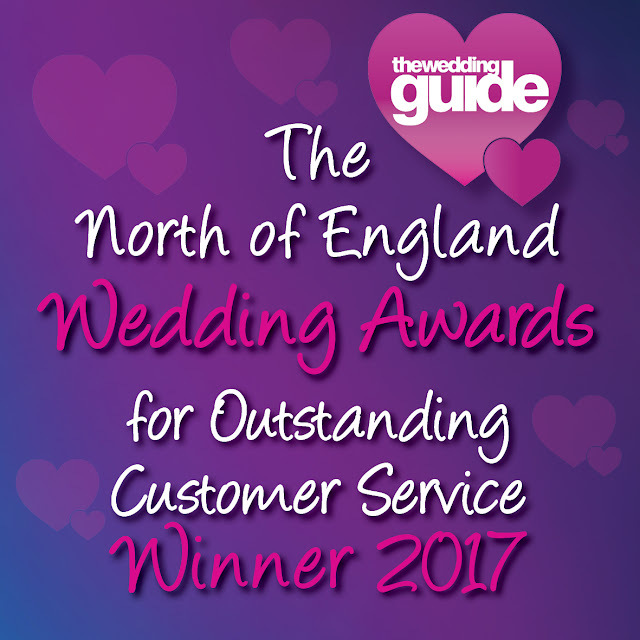 Back in September I attended the annual dinner at York Racecourse to celebrate The North Of England Wedding Awards hosted by The wedding Guide and was over the moon to be voted the winner in the Wedding Photography Yorkshire section. I'm so proud of this award as it is voted for by my couples and to know they were so happy with my work means the world to me. Here are just some of the wonderful comments which brought a tear to my eye , I haven't published them all as some were personal and private and some couples wanted their pictures kept private. We couldn't have wished for a better photographer on our Wedding day. Ruth's photos were superb and so natural. She captured our day perfectly! 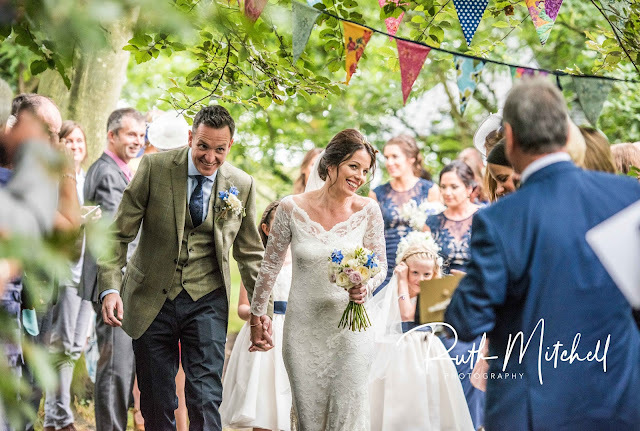 But it was also lovely to have her with us on our special day, She helped calm my wedding nerves and even pinned the button holes on the gentlemen! 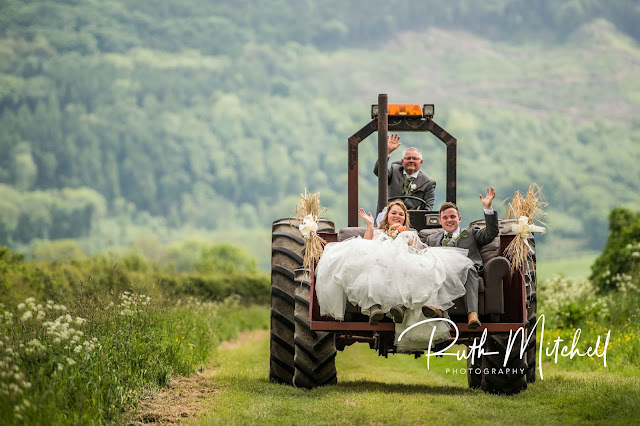 "Ruth delivered an excellent customer service all the way... from before the wedding, and both during and after the wedding. What was really impressive was how she really focussed on making my wedding very special. During our initial meeting she went out of her way to make us feel really welcome. She had a wide range of packages to cater for all needs which were also designed to adapt to the individuals bespoke needs which was great!! She was very professional yet so friendly, and created a very relaxed environment whilst discussing our needs.. Her prices were very favourable compared to other local photographers and her style was very natural which also made her stand out from her competitors. 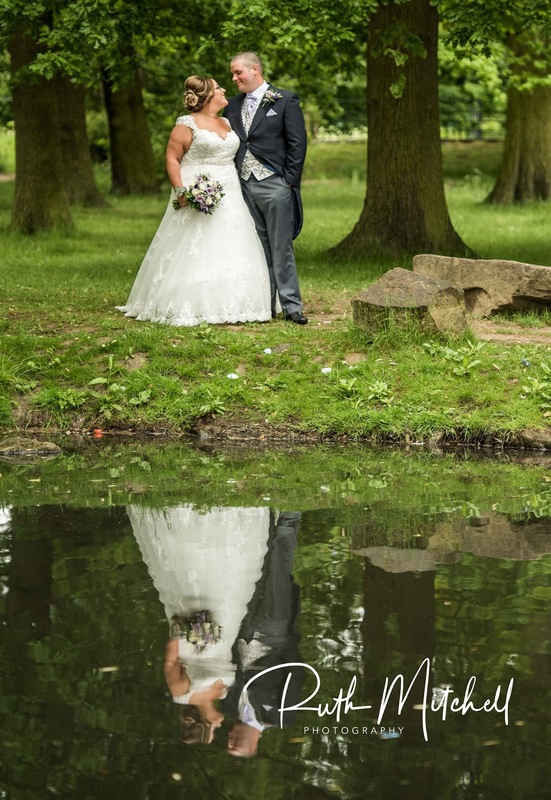 The quality and choice of photos taken during the wedding was superb! We also had so much choice in terms of what we wanted to choose for our album via a very impressive gallery which we could also share with our family and friends. The after care service had also been fabulous!! .Ruth has maintained constant contact to ensure we had all needs met. In summary she provided an exceptional level of customer service all the way through my wedding journey and beyond!! ... I've already recommended her to my family and friends. She was brilliant!!! " "Ruth is simply amazing. 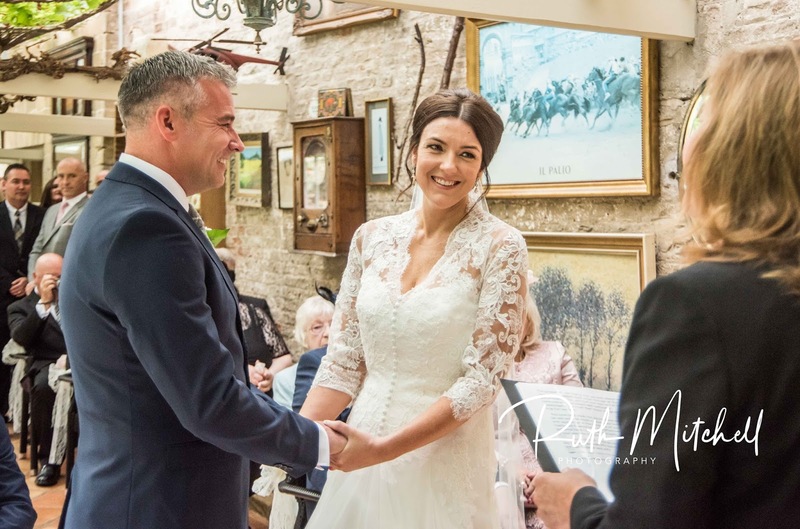 Right from the moment we met her at The Crab & Lobster wedding open day and had the opportunity to look at some of her stunning wedding photography, we knew it had to be Ruth to capture our wedding. 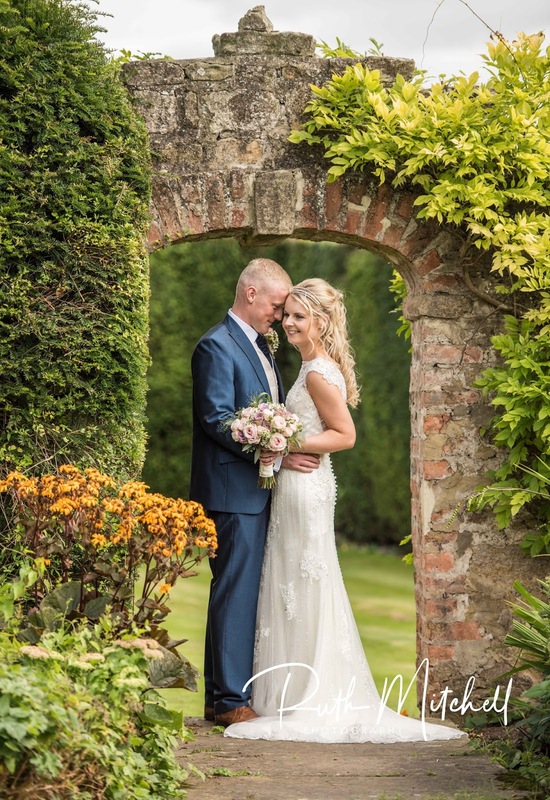 The service Ruth provided throughout the whole process was faultless, her friendly and professional manner put us immediately at ease and it very quickly began to feel like we were working with an old friend. We must of asked hundreds of questions along the way but Ruth always responded quickly and nothing seemed like too much trouble for her. On our wedding day we hardly knew Ruth was there, my husband refers to her as the ""photo ninja"" and this is a big compliment as her natural, unobtrusive style meant we were able to focus on enjoying the day with our friends and family. 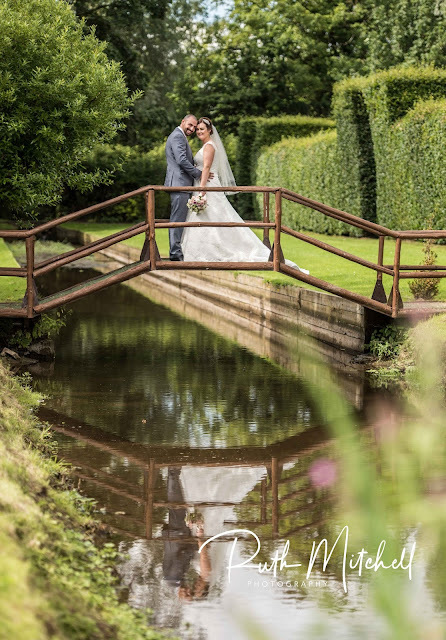 For the actual photos - wow, we could not be happier, they are absolutely beautiful and capture perfectly our wedding day, every emotion and special moment is there for us to treasure for the rest of our lives thanks to this amazingly talented lady! Ruth made me feel at ease from the minute I met her. Neither my husband nor I are photogenic, and having our pictures taken isn't something we enjoy in the slightest. We picked Ruth because of her bubbly personality and easy going style. Once I'd contacted Ruth to be our photographer, nothing was too much trouble for her. The package we chose included an engagement wedding shoot and our pictures on USB, as we don't enjoy having our picture taken, Ruth gladly amended the package so that we could swap the photo shoot for a coffee table style picture book with over 100 photos of our day in. Our second meeting with Ruth was at her studio in Borrowby. The location was wonderful and it was great to see her work, even though we were a little late this didn't seem to bother Ruth at all. Ruth's photographs captured our day perfectly and our guests commented on how friendly and bubbly she was throughout the day. Our pictures were beautiful and Ruth worked quickly, so much so that the very next day we saw some sneak preview pics, and received the link to the edited images on the online gallery whilst on our honeymoon less than 5 days after our wedding day - amazing service particularly when you consider we got married during the festive season. Finally, once we had selected the pictures for our album, Ruth worked quickly to create the book and sent the proof for us to review, she wasn't phased at all when I amended some of the layout and made some really helpful suggestions with regards to style, pictures, format and layout. We received the album fully bound and with our names and wedding date on the front by mid-February. Ruth was more than happy to travel to our house to drop it off with me to make sure it was perfect. If I had to sum Ruth's photography up in one sentence I'd say 'A genuinely lovely, bubbly lady and very talented photographer who captured our day perfectly and made both myself and my husband feel at ease in front of the camera - our guests loved having her around' Finally in credit to Ruth's photography skills - her images from our wedding were so amazing that our venue approached us to use them in a bridal magazine article, and have subsequently used lots of them on their wedding pages on their website - please remember I started this review by saying neither my husband nor I are particularly photogenic! Ruth's service is amazing. She is warm, welcoming and puts you at complete ease. 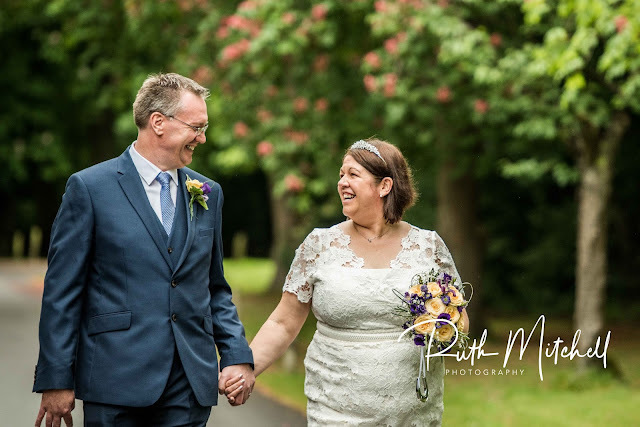 Having been at weddings where the photographer is almost part of the vows with how close they are, Ruth gives you the space to enjoy such a special moment whilst capturing it beautifully. 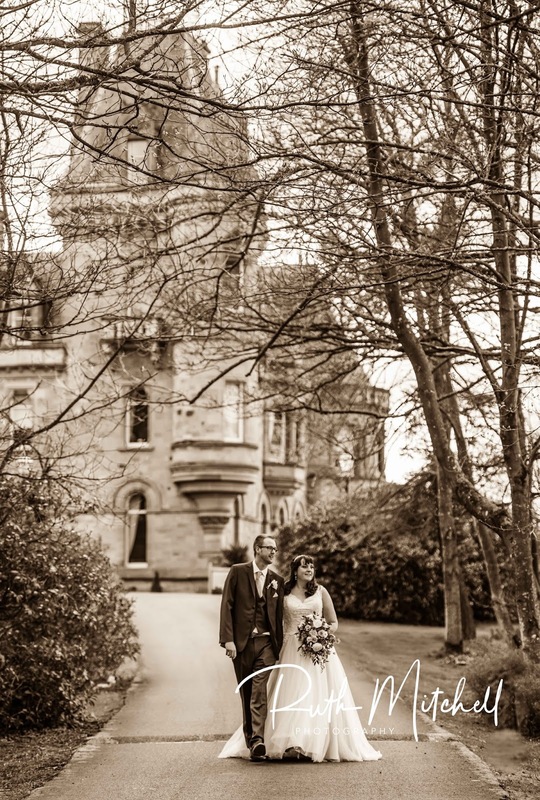 The 5 star service doesn't stop there, we received our photos promptly and beautifully edited. 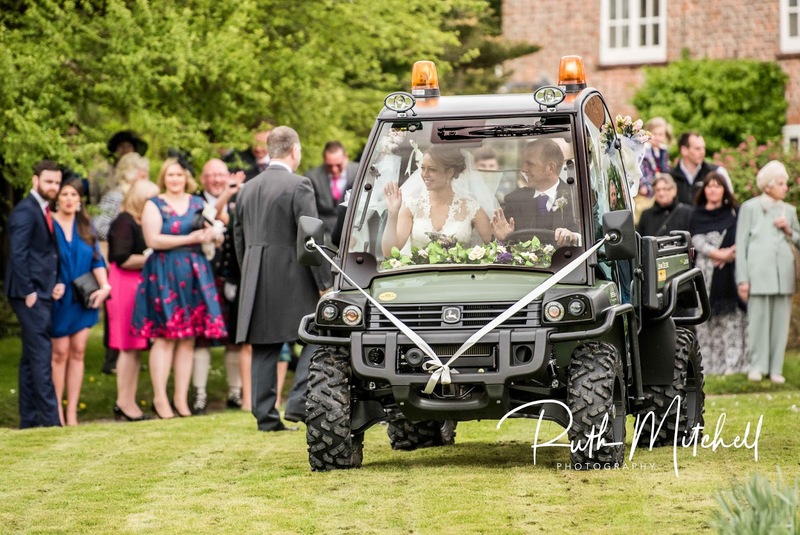 Many of our guests have commented on how amazing she was and those who are getting married soon she has been their first choice from the service they had seen from her. Ruth was brilliant and we had some amazing photos for our album. She took natural photos and guests didn't notice her. She even ran out to get me a newspaper which I had forgotten for a ring photo I had wanted. Nothing was too much trouble. She was patient as we selected the photos after the wedding. Thoroughly recommend Ruth to all brides and grooms. "Ruth was a pleasure to work with, great photos but without having to do endless poses and spend time away from our guests. The end product was fab and a great reminder of our special day! " Ruth was friendly and professional from the very start. As a couple who don't like being photographed, she made us feel as ease and captured some amazing shots, achieving exactly what we wanted and what we had asked for. Guests commented on her professionalism on the day and we were delighted to see our photos so soon after the day. Friends have had to wait for months for their photos, however Ruth ensured we saw a preview only a few days later and we had the full lot within the week, which was brilliant. Ruth communicated with us at all times so we knew exactly when and what would be happening, we would highly recommend her to anyone. Ruth was great the whole way through our wedding preparation, the day and afterwards. Everything was relaxed, flexible and she gave us some great ideas, it was just how we wanted it. Pictures were amazing and we got our album pretty quickly so was a great service, would highly recommend! "Ruth's attention to detail about our needs was second to none. The manner in which she takes her photographs was exactly what we wanted, non intrusive, relaxed and very natural - certainly nothing posed. The way in which she achieved this without actually being a part of the wedding is fabulous. We didn't even know she was there - she's certainly not a photographer who makes the wedding about her. To top it all my button had come off a critical part of my dress seconds before going into the ceremony and Ruth was there with the appropriate mending tool - she made my day before it had even started!!! We have recommended Ruth on numerous occasions and would use her again without hesitation. The album was a masterpiece and made the job of choosing which photographs to put in it a very hard job indeed. We can honestly say there wasn't one photograph we didn't like. Ruth made our photographs a special part of our special day and we can't thank her enough. To top it all she's a lovely person who's only interest is about what YOU want it's not about what she is wanting to sell. " "I don't know where to start. From the moment I made contact with Ruth she was so helpful quick to respond and after our 1st meeting I knew right away I didn't want anybody else. she was warm and welcoming and her work speaks for itself but what stood out the most for me is that a lot of her work she just captures the moment! And indeed she did just that on the day. We had a few posed shots and the rest we didn't even know were taken. Ruth was so discrete we didn't even realise she was there. I couldn't be happier with my photos I will treasure them for the rest of my life. Ruth was amazing just like her work I cant thank her enough ." From start to finish Ruth was excellent, we turned up in Borrowby to her office & she had plenty of examples available & her attitude instantly made me want her to photograph our wedding, we told her we wanted mostly informal pictures of guests without pestering people for photos all the time, and she did exactly that capturing the day perfectly. The weather was horrendous on the day of our wedding and this made things stressful for both myself & daisy but Ruth also, however she handled it perfectly and did the best she could to get some pictures outside even though it didn't stop raining all day. After the wedding we received the USB with our photos on very quickly, and we took an age to decide what we wanted in our album, when we submitted the final pictures to Ruth we had our albums within 6 weeks and this was also over the Christmas period, I was extremely impressed and the quality was even better than I expected. Would 100% recommend to family & friends. Ruth was recommended to us by wedding coordinator in hotel. She was exactly what we were looking for she took amazing photographs most of which were not posed. Through the day she managed to capture all our guests. She was there all day and into evening and captured everything without intruding which fit well with our informal event. She was also great afterwards sending out link to our photos less than a week after wedding. She organised my thank you cards and did a fabulous job of our book. 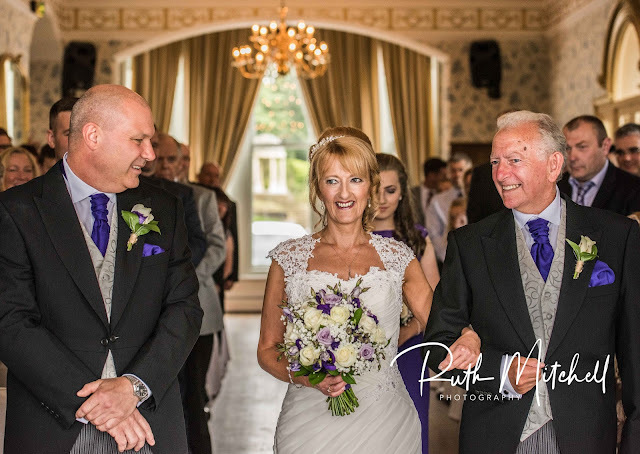 All our guests commented on how professional Ruth was and how fantastic the photos were. Nothing is ever too much trouble for Ruth. There was no question that we HAD to have Ruth photograph our wedding. The photos are amazing and she has created the best memories . 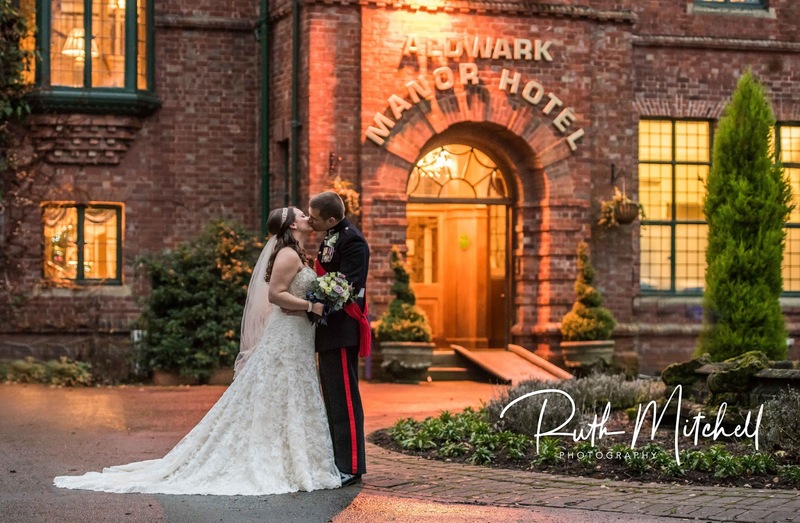 She captured every special moment without being noticed or in the way, she was very professional and all my guests commented on how good the photos were and how they were impressed with how she was on the day not like any other photographers at other weddings they have attended. I recommend Ruth to all my clients! From the first time I contacted Ruth, I was so impressed with her customer service. Nothing was too much hassle, any question I had was so promptly answered. She put us at ease the first time we met her, and could see her relaxed nature. The contact from her up to the big day was great and her attention to detail on the day comes across so clear in the photos afterwards. So quickly after the wedding she was back in touch with the photos for us to view. Once we had decided on our album, it was such a quick turnaround to receive the final product. The overall experience with Ruth was brilliant. "Ruth was fantastic from start to finish. Before deciding to book Ruth she traveled to our home and brought lots of samples of her work so we could have a good look at pictures from previous weddings. Straight away we decided to book Ruth for our wedding. On our wedding day Ruth was discreet throughout, most of the time we weren't even aware that we were having our photographs taken. 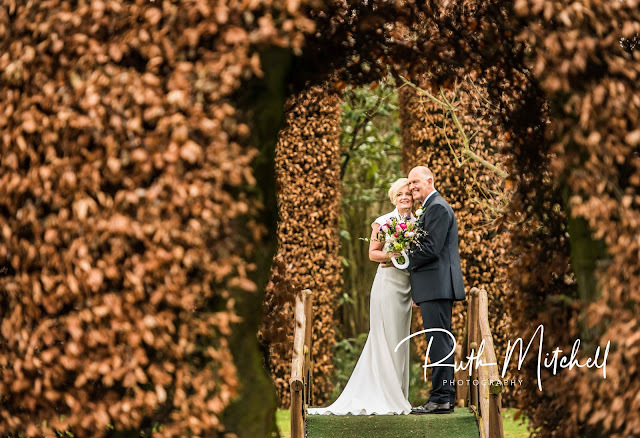 The reason we booked Ruth for our wedding was because we wanted non-obtrusive, natural pictures and that's exactly what we got. I could of asked for more from Ruth on our wedding day, she was so friendly and reassuring and she put me at ease when the nerves kicked in before heading into the church. After the wedding, we received all of our picture samples from our wedding day within a week or so which was so lovely for us to be able to look through whilst on our honeymoon. We then also received a picture book filled with every photo that had been taken before getting our final album. We also received a USB with all pictures on and 10 pictures that had been printed. 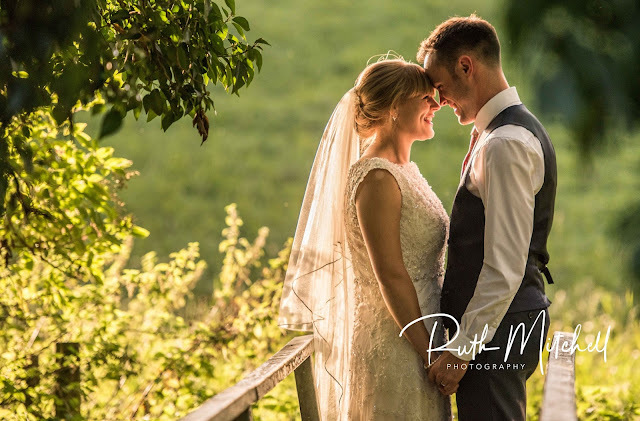 Ruth was recommended to us from family members, and we have since recommended her to another family member and will continue to recommend Ruth to anyone getting married in the future. " We were delighted with the service received from Ruth from start to finish. The speed with which she dealt with all of our queries and with the final prints was amazing. We couldn't believe how quickly the proofs and the final albums came through. 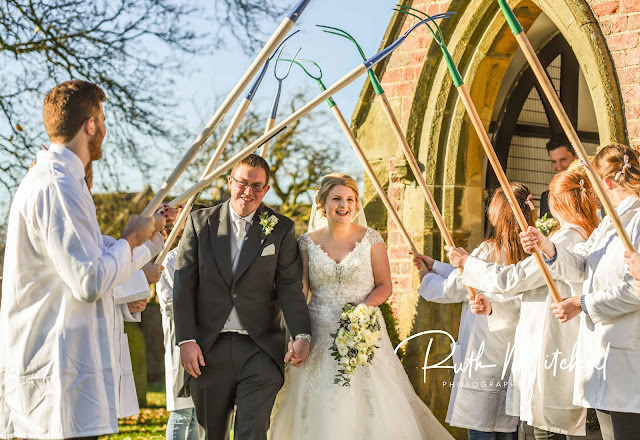 The photographs were just what we wanted, a real mix of traditional and more informal shots which really captured the spirit of the day. "From start to finish Ruth Mitchell was an absolute dream to work with, not only was the service she provided efficient, friendly and good value, the photographs she took on the day were amazing. All out guests commented on how good the photos were and how on the day she blended in so well they didn't even realise she was taking the shot. 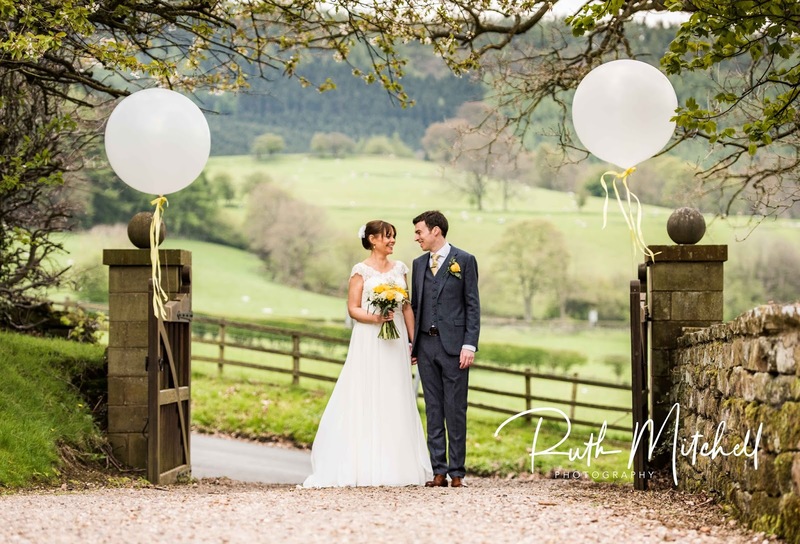 Over all I couldn't be happier with the service Ruth provided and should I ever need another photographer she would be my first port of call." 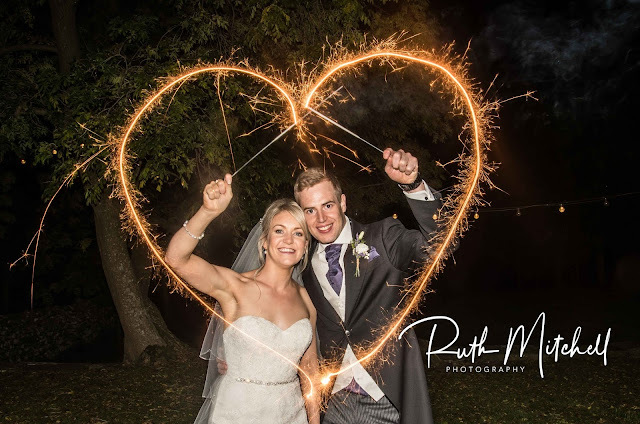 We had had no recommendations for a wedding photographer but after speaking to numerous people we found Ruth. I instantly liked her as soon as I spoke to her. We then went to meet her and look at her work, we loved it, her relaxed manner made us feel at ease nothing was a problem , Ruth gave guidance and helped with ideas from previous work and experience. Her photos were beautiful and captured some amazing moments which we will cherish for years to come. 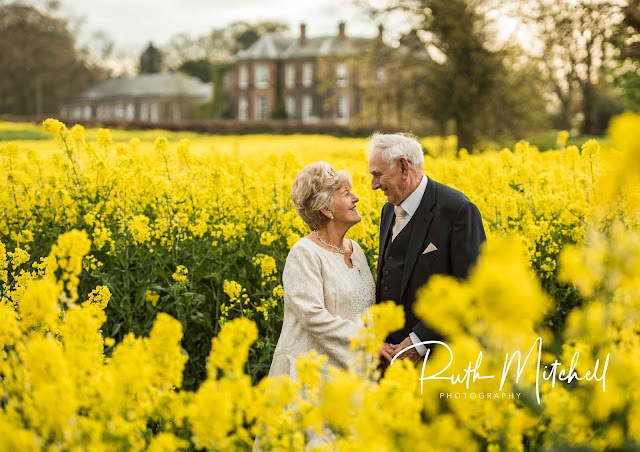 "After meeting Ruth and seeing the amazing results of her photos from my sister's wedding a few years ago, there was no question in my mind that it was Ruth we wanted to ask to photograph our wedding. 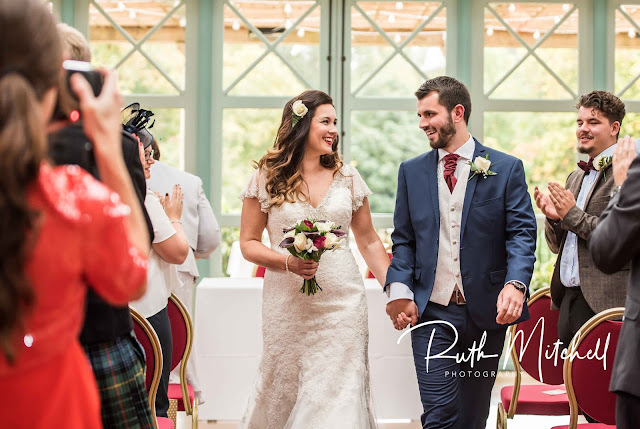 My husband and I married in Scotland and there was absolutely no hesitation on Ruth's part to make the journey north to capture our day, as well as travelling to meet us at the venue for a pre-wedding meeting in the lead up to it to discuss all the finer details. 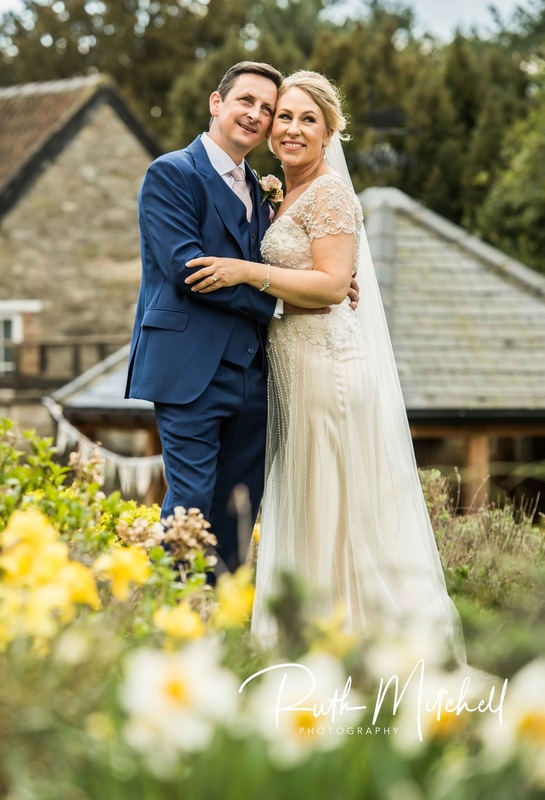 Her commitment and dedication to us was fantastic, and knowing how busy and in high demand she is with other weddings, you were never made to feel that she was too busy to get back to you. Her quick responses and communication was excellent and very much appreciated. I've lost count of the amount of compliments we've received from our friends and families about how well she captured the day, and also how she conducted herself on the day which was non-intrusive and kept the timings of the larger group photos to an absolute minimum which we loved, and so did our guests. Her packages are excellent and the quality of the album presentation as well as the quality of the photos can't be faltered. I recommend Ruth to all our friends who are currently planning weddings - a very deserving candidate for this award. I met Ruth a few years back at a friends wedding and I thought her photos were fantastic and she was so warm and friendly. I did not even consider anyone else to photograph our wedding. On our wedding day Ruth was a fantastic photographer, her attention to detail is super and she was so friendly. I love looking at all of Ruth's photos of different weddings. It has been a pleasure to meet Ruth. Not only are Ruth's photographs amazing but she is also very efficient and quick at showing previews and getting the preview album out. 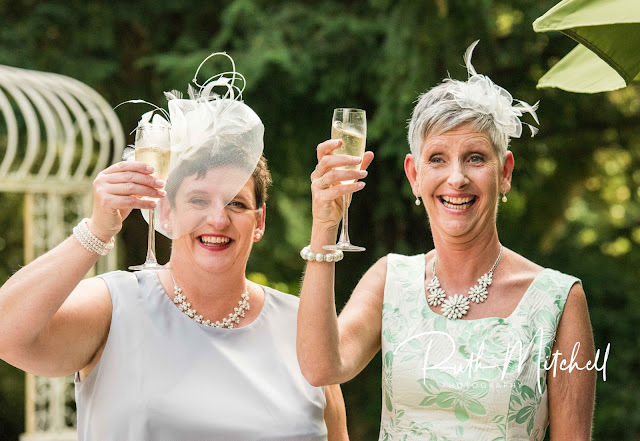 My best friend also had Ruth photograph her wedding last weekend and the photos are already available too and are amazing. I recommend Ruth to anyone getting married and I hope to see Ruth again in the future. My wife and I were overwhelmed with how Ruth Mitchell handled our contract with her. Her attention to detail was exemplary. Even to returning to the wedding reception venue later at night to photograph the fireworks laid on as a surprise for me. Ruth only found out that the firework display was going to happen late in the reception. She dashed home to get her tripod. The outcome was some fantastic firework shots with my wife and I in the shots. Post wedding, Ruth's back up continued to be as detailed, diligent and helpful as pre wedding day. She made us and our guest feel extremely comfortable. Many friends have made most complementary comments. I would be very surprised if Ruth Mitchell was equaled in value and /or attention to the needs of the bride and groom. "Where do I even begin? 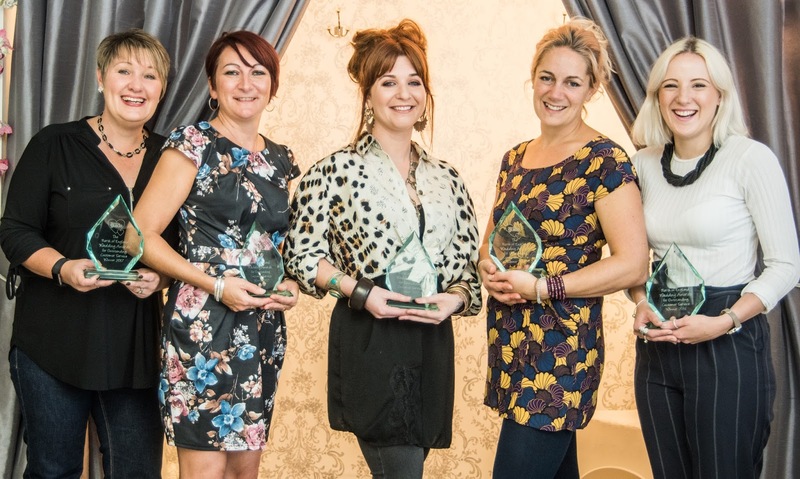 Ruth is an AMAZING photographer who goes above and beyond for her clients in order to give them THE best customer service - she has been nominated many times before and I personally feel that it's about time she was recognised for the first-class service that she provides! 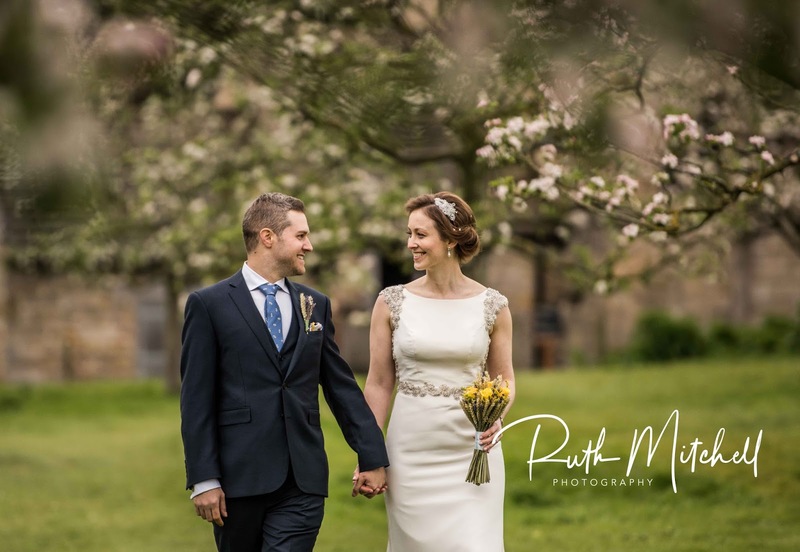 From the moment we first contacted Ruth, we knew she was the person we wanted to photograph our wedding. She was warm, personable and friendly both via our email communication and in person. When arranging to meet face-to-face to look at her portfolios and to discuss our big day, Ruth kindly offered to come to my mum's house in Richmond as, at the time, Daniel was travelling all over the country with work, and I was working away in a very demanding job with long, unsociable hours. We were struggling to find a date that suited us all and, unlike other photographers we had been in contact with, Ruth actually took the time to connect with us as a couple, going out of her way to make us feel relaxed and comfortable, organising a meeting that would cause as little disruption to our schedules as possible. Suffice to say we were already impressed by Ruth's professionalism (and kind nature). So as far as first impressions go, we couldn't have been more impressed - and this was all before we'd even booked! (On a side note, a lot is to be said for word-of-mouth and I spotted several familiar faces in the photographs displayed on Ruth's website: nothing but the highest praise was given of Ruth when asked, not least by our chosen wedding venue, who know her very well and were beyond complimentary of her and her work when we mentioned to them that we were hoping to book her for our special day). It was a no-brainer: she was absolutely lovely, her photos were (are) stunning and we loved her style. She has a great sense of humour, too so we just knew she would fit in with our whacky family on the day! Daniel has always been a bit camera shy, so as far as he was concerned, the less we had to stand and pose the better, therefore we were particularly taken with the emphasis she placed on it being 'our' day and that she would blend into the background and capture moments as they happened naturally, rather than staging too many photos. 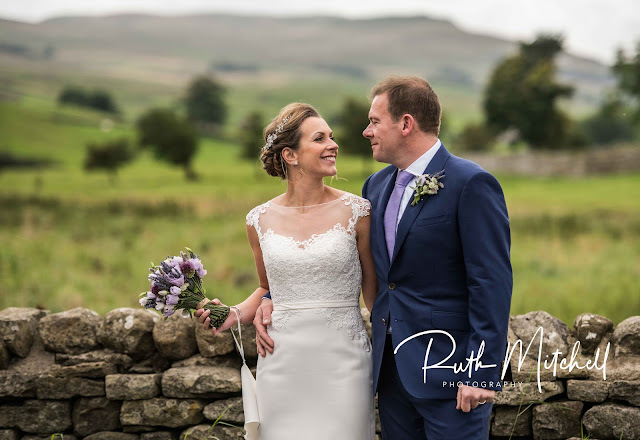 In the many months that followed in the lead up to our wedding, Ruth stayed in touch and was always very quick in replying to any questions we had. She also very kindly gave up one of her Sunday mornings to drive back to Richmond once again to do a pre-wedding shoot with us as Daniel was feeling a bit anxious about how being photographed would feel on the day. Both of us were amazed at how relaxed we felt in front of the camera - which was no doubt due to the calm, experienced person behind it! Ruth got some absolutely beautiful, natural photographs of us together in no time at all. We were so relieved that A) it was absolutely painless and not at all awkward as we had been dreading, and B) how efficiently and effortlessly Ruth got on with her job! Later that day she sent us the pictures and we were over the moon! It only made us more excited for the big day! After that, we only had one more conversation with Ruth over the phone before the actual day, just to go over timings and the small selection of group photographs we asked her to take etc. Ruth was very reassuring, as always, and the phone call ended with me feeling absolutely confident that everything would be fine on the day. On the morning of the wedding, Ruth arrived promptly with a huge smile on her face. She greeted me with a big cuddle and even handed me a wedding card, which I thought was such a lovely touch! She quietly found a corner to set up her things and immediately got on with photographing little bits and bobs. The house was absolute chaos but Ruth was very calm and somehow managed not to get in the way of the other 8 people (in the end 11!) who were getting ready at the house - not to mention the family dog who was pottering around in his buttonhole and tuxedo! I believe she also came to the rescue and helped our videographer out of a sticky spot after discovering that her tripod was missing a screw (or something?)! Ruth's experience came into play and she managed to save the day with a hair grip - awesome! I began to feel a little flustered amongst all the excited bodies in the room so took myself upstairs to do my make-up somewhere quiet. A few moments later, Ruth came up to join me. I have to say, this was one of my secret favourite moments of the morning as Ruth honestly felt more like part of the family than our photographer. She was so lovely to me! I felt so comfortable with her being there: like I'd known her my entire life! She even gave me some honest feedback with regards to my make-up, which I was doing myself, and told me where I needed to add a little bit more emphasis so that it would pick up on the photos. It was lovely to have her capturing the intimate, emotional family moments, like my mum getting me dressed and my dad seeing me ready for the first time. We were all in tears! I'm just so glad that Ruth was the person standing there to share that with us. I can't even tell you how grateful I was to Ruth for all the little things she did for me that morning, things that were certainly not in the photographer job description. 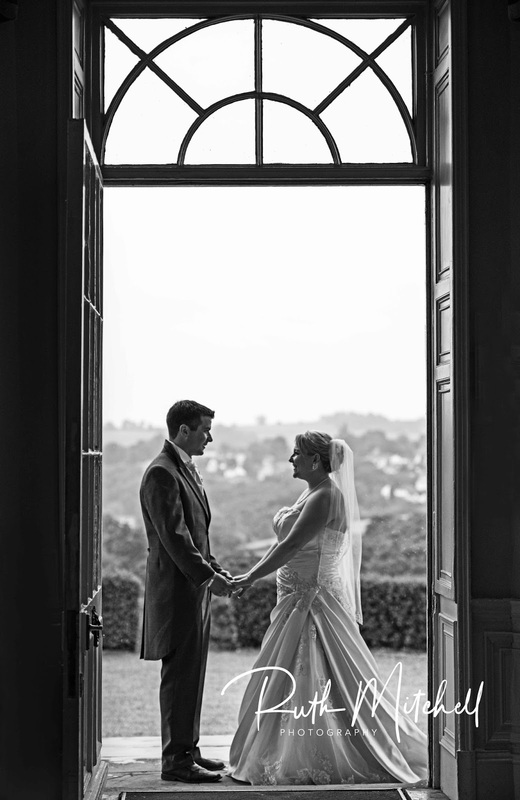 The photographs Ruth took of our special day are truly exceptional: everything we hoped for and so much more! I have to admit that I had a couple of little panics afterwards about tiny, silly things that I wished I had asked Ruth to photograph, but hadn't. Things like my bouquet, for example - I knew she had taken a picture of me holding it after our church ceremony, but realised I didn't tell her about the tiny little locket attached to it which had the wedding pictures of both sets of my grandparents on it. Should I have worried? No! I should have known that Ruth had it all covered. Shame on me for doubting for a second that she would not have captured every last detail. When looking through our photo selection, I saw that Ruth had taken several beautiful pictures of my flowers, without me knowing, with various significant items but most importantly, she had seen the locket and made sure to take some shots of it. Ruth really was amazing and blended in with the guests. To be honest, when everything got into full swing, we didn't even know she was there! Unobtrusive is definitely her middle name! She was efficient and polite when taking group photographs, and firm (in a good way!) when she needed to be. 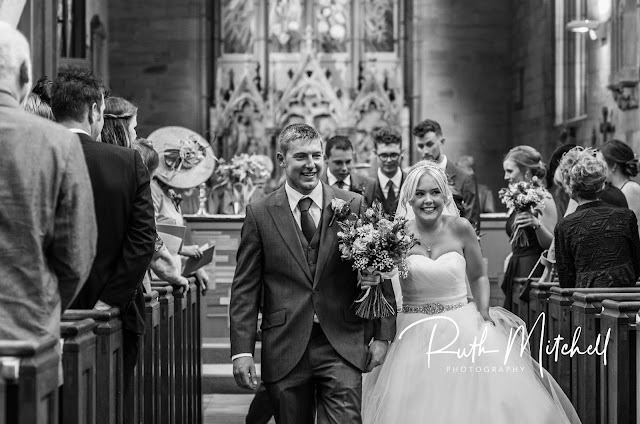 In our experience of being a guest at weddings, there's nothing worse than standing around for 40-mins at a time whilst the photographer arranges each photograph, but that is certainly not Ruth. 5 minutes max: job done! We were so impressed and so were our guests. Many of them commented on how fantastic she was, and still do 9 months on. We loved that she took the time to wish us well at the end of the day as she was leaving and told us that our photos would be ready by the time we were back from honeymoon. Three days later, whilst on honeymoon, we received an email with a link to our photo gallery. How's that for customer service?! As for the photographs... Wow. She absolutely captured the essence of the day in every form; the fun, the emotion, the colours, the details, EVERYTHING! I must have looked at them thousands of times and they never, ever get old! They warm my heart, make me cry, make me laugh and give me goose bumps all at the same time. Ruth is so incredibly skilled at what she does and it absolutely shows in the pictures that she produces. There has never been someone so fitted to being a wedding photographer as Ruth - she really is the whole package! 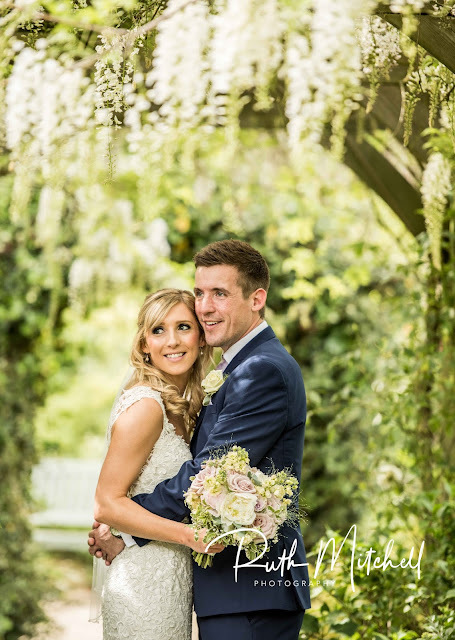 In short: Ruth Mitchell Photography does exactly what she says on the tin, and so much more! We are so proud to say that she was our wedding photographer and will continue to sing her praises for the rest of her long, successful career! 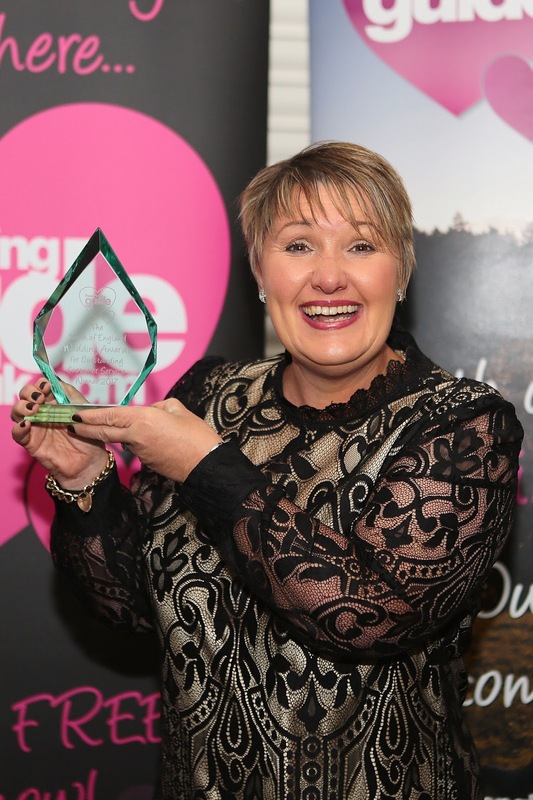 In our eyes, there is no-one more deserving of the Outstanding Customer Service award. " "Ruth gave a fantastic and personal service throughout the whole process. She listened to our preferences and created an album for us that we love with a range of sizes of photographs covering all aspects of the wedding from getting ready to the speeches. Nothing was too much trouble for her on the day. She was friendly and organised and managed to get everyone in the right places at the right time, no easy feat in the museum! I loved the fact that we could view the photographs online as could our friends and family prior to us choosing the final photographs for the album. 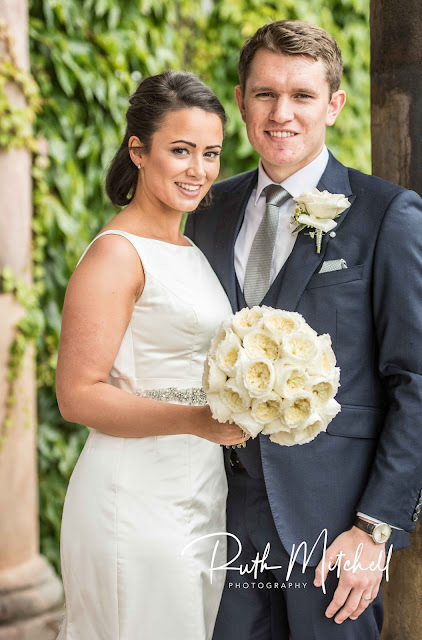 She was a good communicator and I felt confident that we had chosen the right person to trust to look after us on our special day. I would recommend Ruth Mitchell a Photography to anyone." Thank you to all the couples who took the time to vote for me , as I said earlier it really means the world to me and I couldn't do it without you ! I would also like to congratulate some of my colleagues who also won their categories , Coo Chi Coo Cards, Becca Hunton Hair and Make-Up, MacVean Videography and Victoria Robson Bridal.